Canadian War Department numbers in white for softskins and AFVs. 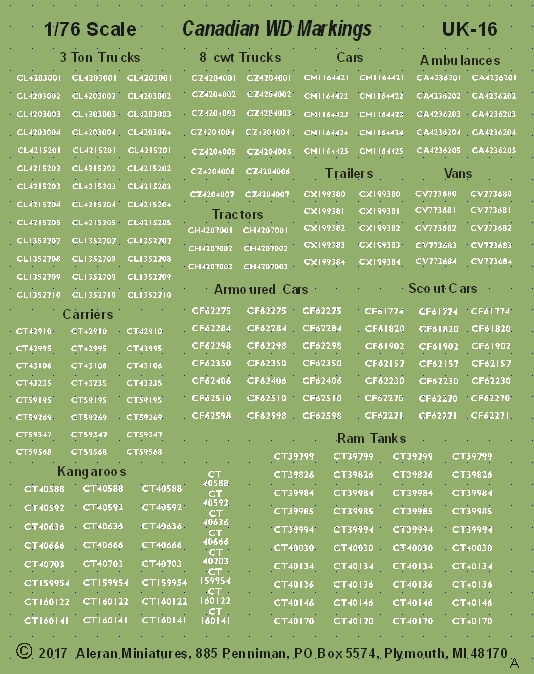 This sheet consists of various Canadian War Department numbers in white for numerous softskins and AFVs. There are 83 different number sets in this sheet, but by cutting and mixing them, many more unique sequences could be created.